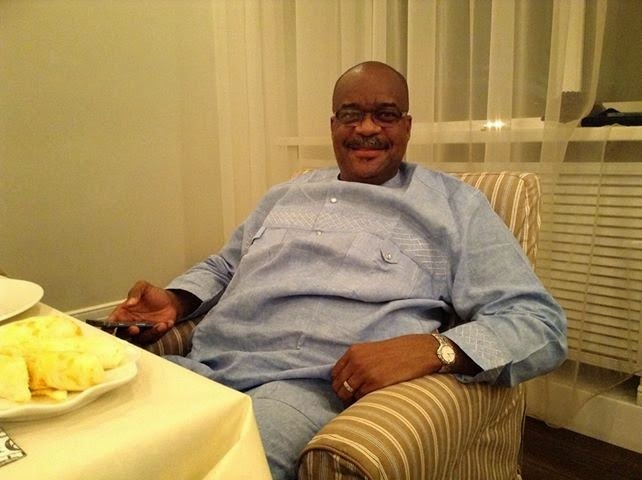 General Overseer of Revival Assembly Church,Apostle Anselm Madubuko needs no introduction. The father of three had a very interactive section with Yes magazine Editor in Chief, Azuh Arinze, he talked about so many angles affecting the nowadays churches and why most of today's pastors are not real born again Christians because of their love for money. "It is painful for me to see what so many pastors are doing. So many of them are practising occultism in the church. They do all this for the love of money, power, for fame and they have compromised their faith. They are acting films on the pulpit, forging miracles and faking testimonies and unfortunately, people are falling victims". "They have their support from their relatives; they connive with these people to hear what they shouldn’t hear. They give different contracts forgetting that we have also seen successful witches and wizards in Nigeria. They talk about Jonathan’s success, claiming they are responsible for it. These people may know your problems, but they don’t have the solutions, because they are not from God. They use and take advantage of your problems to siphon you and that is the most painful aspect. But for all the true servants of God who are genuinely called by God, I pray that God would keep them and give them the power to establish more churches, because we don’t have enough churches yet. We are over 150 million people. So, we need more churches to cater for the souls that are perishing". The problems of todays chruches are the people not the pastors. When people choose to worship their pastor rather God. Many of them can't even afford 3 square meals at home but they will prefer contributing that money to their pastors. People use your heads and brains when going to church.